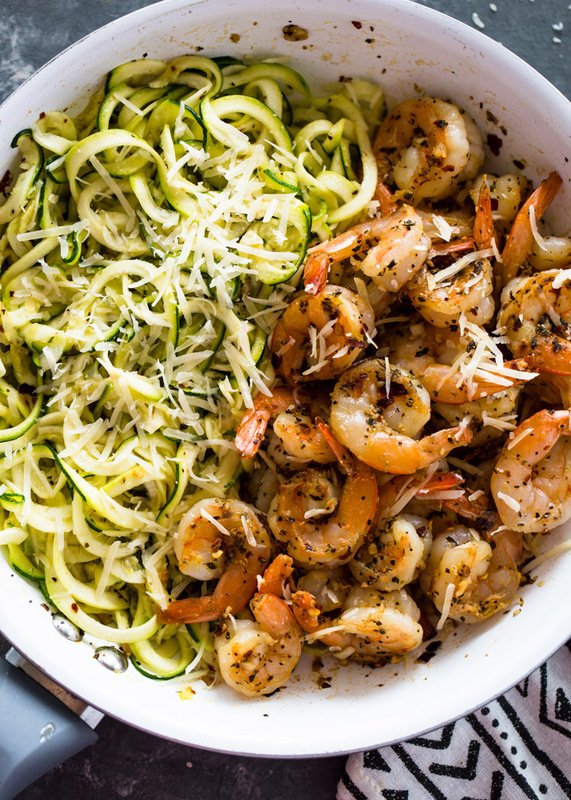 Garlic butter shrimp and zucchini noodles cooked in one pan in under 15 minutes. 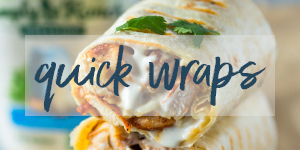 This flavor-packed dish is healthy, keto and low-carb and makes a delicious protein packed meal in minutes. There is nothing in the world better than garlic, butter, and pasta and there is nothing worse for your diet. 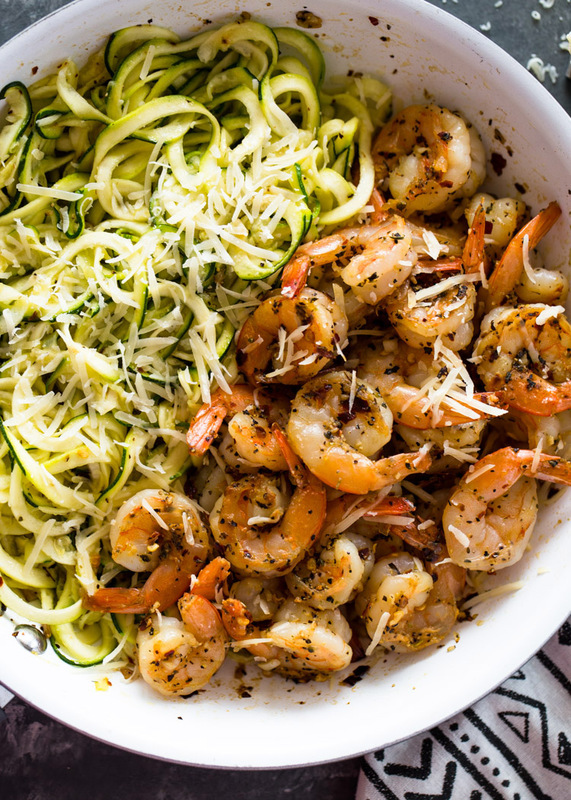 Your Italian food craving self will thank you after tasting this delicious shrimp and zucchini noodles dish. 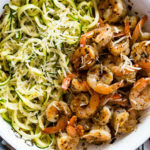 Zucchini noodles are used in place of pasta making this meal 100% guilt free and delicious without sacrificing taste or texture. Zucchini noodles are fresh, colorful and are one of my favorite way to eat healthy and gluten-free without all the carbs. 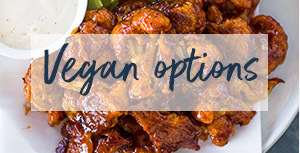 So low-carb and delicious, what’s more? 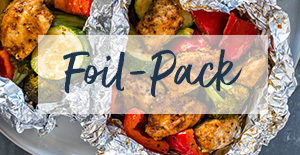 It’s all cooked in one pan making clean-up a breeze. Shrimp cooks so fast, you can have this meal on your table in under 15 minutes. The shrimp will take just 2-3 minutes to cook through and then the zucchini is cooked in the same pan for another few minutes. Make the pasta/spaghetti shape using a zucchini spiralizer or a julienne vegetable peeler. Most mandoline slicers or a standard vegetable peeler will also work and make wide noodles. Don’t peel the zucchini. 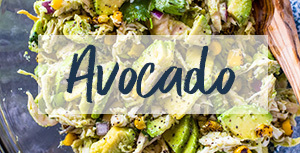 Peeled zucchini noodles are mushy and have a little crunch, so the skin is needed to give them texture and crunch. Don’t overcook the zucchini noodles or else they’ll become mushy. Zucchini noodles cook really fast, Cook the noodles for just 2 minutes to warm them up. The noodles should be cooked to al dente (just like pasta). 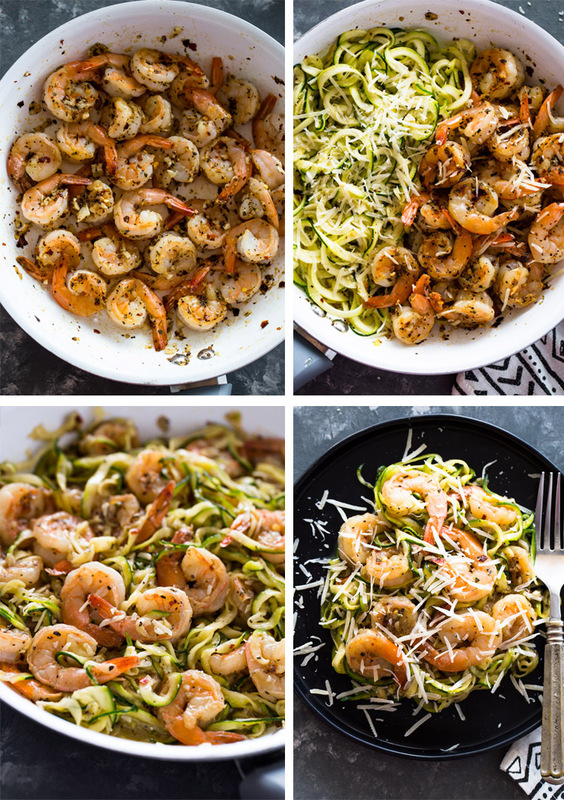 Garlic butter shrimp and zucchini noodles (aka Zoodles) cooked in one pan in under 15 minutes. 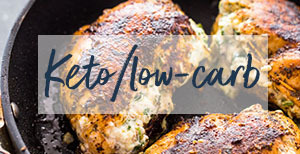 This delicious dish is low-carb and keto and makes a healthy quick dinner in minutes. Wash and trim the ends of the zucchini. Make the zucchini noodles using a spiralizer and set aside. Heat 1 tablespoon oil in a large pan over medium-high heat. Add the shrimp to the hot pan, season with salt and pepper cook for 1 minute. Add the garlic, Italian seasoning, and crushed pepper to the pan. Cook for another minute per side or until shrimp is light pink and garlic is golden brown. Transfer to a bowl. Add the Butter and zucchini noodles to the same pan, season with salt and pepper and cook for 2 minutes or until tender. Return the cooked shrimp to the pan and stir through. Garnished with freshly grated parmesan cheese or/and chopped parsley. 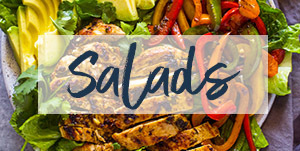 What is 1 serving CONSIDERED? 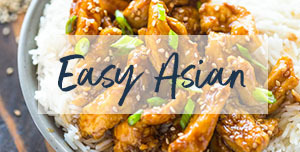 The recipe serves 4 so 1 serving is about 1/4th of the complete dish. 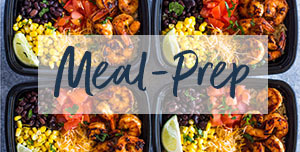 I would guess around 1 – 1.5 cups of shrimp and zoodles.